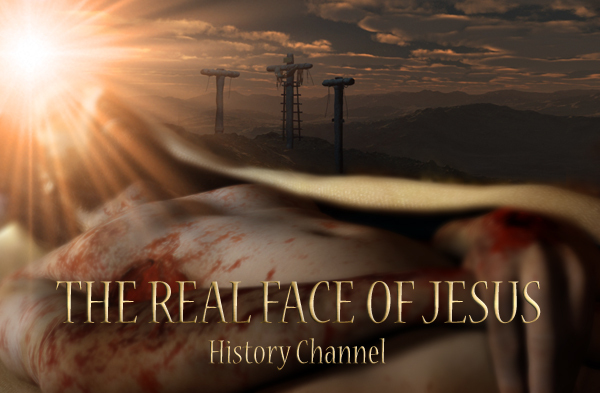 • 06/24/2010 todotvnews Latin American media buyers interested in "The Real Face of Jesus?" • 03/31/2010 Sky News "Could this be the real face of Jesus Christ?" • 03/31/2010 VirtueOnline Article about the Shroud and "The Real Face of Jesus"
• 03/31/2010 MyFOXNY Video segment on "The Real Face of Jesus"
• 03/31/2010 Good Morning America "Is face of Jesus Christ revealed?" • 03/31/2010 Times of India "Christ's face 'recreated' from Shroud of Turin"
• 03/31/2010 Sidney Morning Herald "Is this the face of Jesus?" • 03/31/2010 Good Morning America Video segment on the revealed "Face of Jesus"
• 03/30/2010 Inside Edition "The Real face of Jesus"
• 03/30/2010 Kathie Lee tweets about "The Real Face of Jesus?" • 03/30/2010 MSNBC Article "The Face in the Shroud"
• 03/29/2010 UPI "History to air 'Real Face of Jesus?' "
• 03/29/2010 New York Post " Jesus special that could change everything"
• 03/25/2010 New York Post "Computer recreates Jesus' face for History Channel"
• 03/24/2010 WorldNet Daily "Is this the face of Jesus Christ?"